Low Moor, VA (Sept. 12, 2018) - Alleghany County and Covington City are continuing to monitor the progress of Hurricane Florence. Local officials are continuing to have daily communications with the Virginia Department of Emergency Management and National Weather Service. Citizens are still strongly encouraged to also monitor the weather forecast as rainfall amounts and wind speeds have currently been reduced for the Alleghany Highlands over the weekend, but the potential to create significant flooding for the area still exists. The County and City are still preparing for a worst case scenario until events dictate otherwise. Citizens need to do the same and those that live in flood prone areas need to make preparations immediately and have the necessary plans in place to evacuate before water levels rise. People that may have never experienced flooding in their homes or on their property could have it with this weather event. Citizens also need to be prepared for extended power outages and road closures. 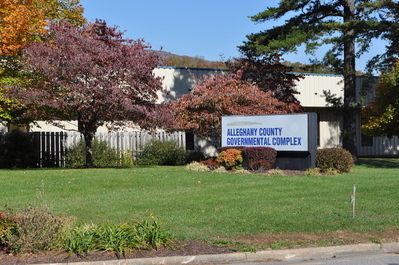 Alleghany County Governmental Complex, Clifton Forge Fire Department, Lone Star Advent Christian Church Family Life Center, Boiling Springs Elementary, Falling Spring Elementary, Callaghan Elementary, Dunlap Fire and Rescue Main Station, Clifton Middle/Mountain View Elementary, Jeter-Watson Intermediate School, and Covington Armory/Recreation Center. If sheltering is needed, information will be disseminated to the public through the local radio station, Facebook, online media, County/City websites, and Reverse 911 calls. Remember, this will be a statewide event, so citizens need to have the necessary provisions such as food, water, medications (extra oxygen cylinders), radios, batteries, flashlights, etc. in place to sustain themselves for up to 72 hours since the availability of outside resources may be minimal at best. Information on how to prepare and items that need be included in an emergency kit can be found on the Virginia Department of Emergency Management’s website www.vaemergency.gov/hurricanes.